France Culture, French public radio channel, relocates to Edinburgh on the day of the Referendum and broadcasts its morning show live from the Institut français. Professor of French at the University of St Andrews. Research Assistant at the ESRC-funded Scottish Centre on Constitutional Change, based at the University of Edinburgh. Specialist of public policy in Scotland. A unique opportunity to see a French news radio show in the making from very up close, and hear French and Scottish experts commenting on the political event of the day. Oh yes, it will be in the first hours of the morning, but fight the urge to stay in bed and head down to the Institute to participate as a member of the audience. We will provide the coffee! 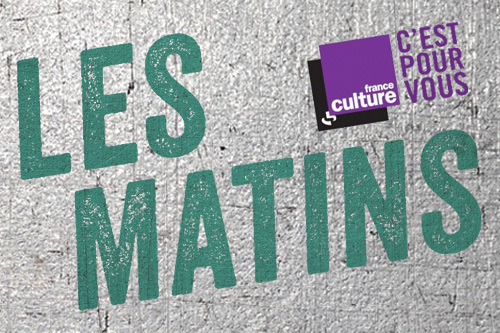 Les Matins – by Marc Voinchet and France Culture’s editorial team. News flashes by Amelie Perrier, reports by Ludovic Piedtenu and analyses by Franck Mathevon, UK correspondent for Radio France. Please arrive 15 minutes before the show and note that it will be possible to leave during the show.